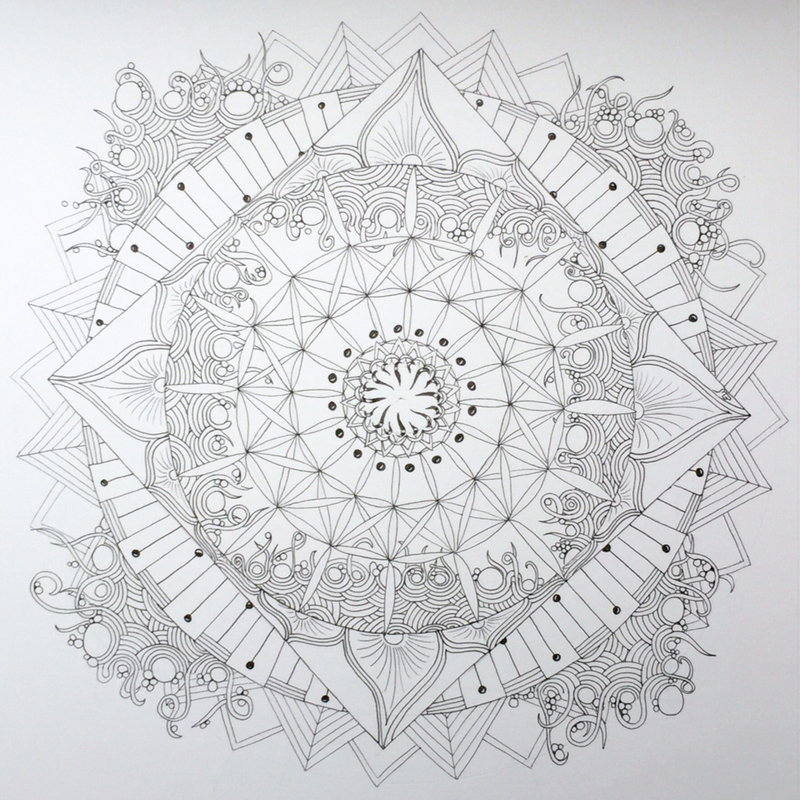 by Betsy: ZIA Mandala, before color. This is what I've been working on for a couple of weeks now. In case you're wondering, I sometimes have several projects going at the same time. Thanks to having a blog, I do finish more than I used to! I guess I don't want to show you just a partially finished project. Today however, that's exactly what I'm doing. 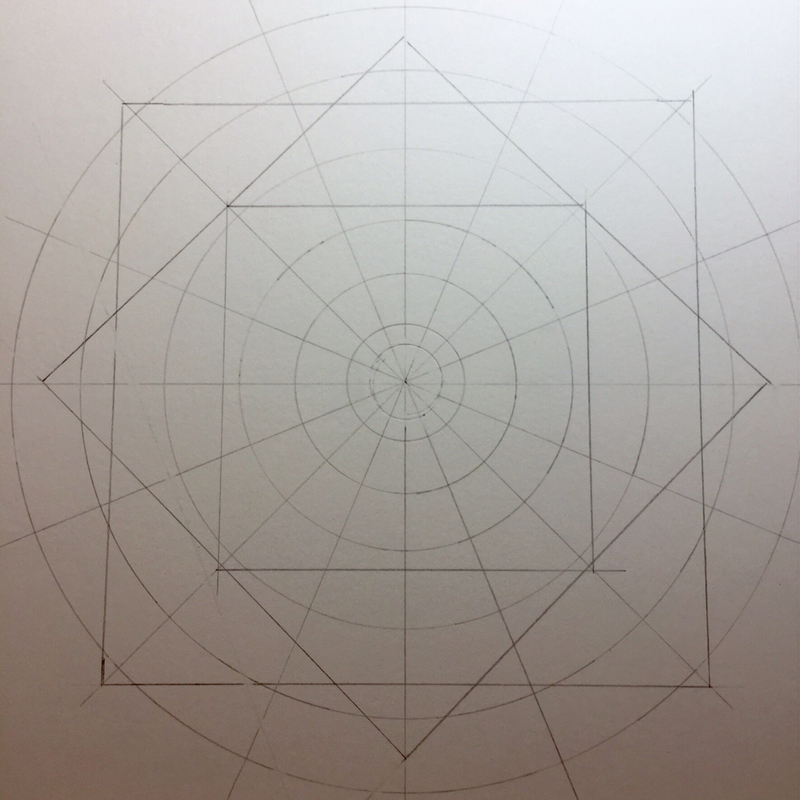 My mandala has been very fun to watch grow step by step. I thought I'd share with you a little of the anticipation I've been experiencing! 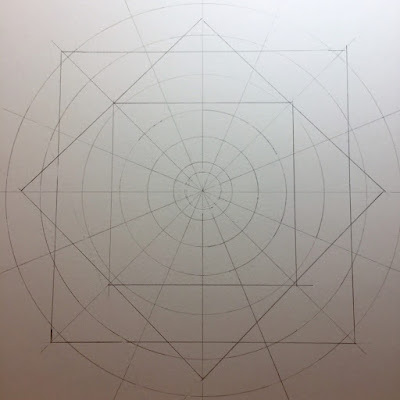 I started by using a compass and protractor with pencil on Strathmore's mixed media 400 series 140 lb paper that I trimmed to 11 inches square. So my "string" was done with compass and protractor, but the rest was all freehand using a Sakura Pigma Micron. The tangles used were Pepper, Zenith, Fife, Copada, Jalousie, Lollywimple combined with Squid and finally 'Brella. You can find all but one tangle on Tanglepatterns.com. (Also note that I've added a badge to go to Linda's awesome site on my sidebar on the right). The one pattern that isn't on that site (...yet, I'm sure it'll eventually get there) is Lollywimple. You can find it at Sandy Hunter's blog, tanglebucket.blogspot.com by clicking here. I'm working on color now. 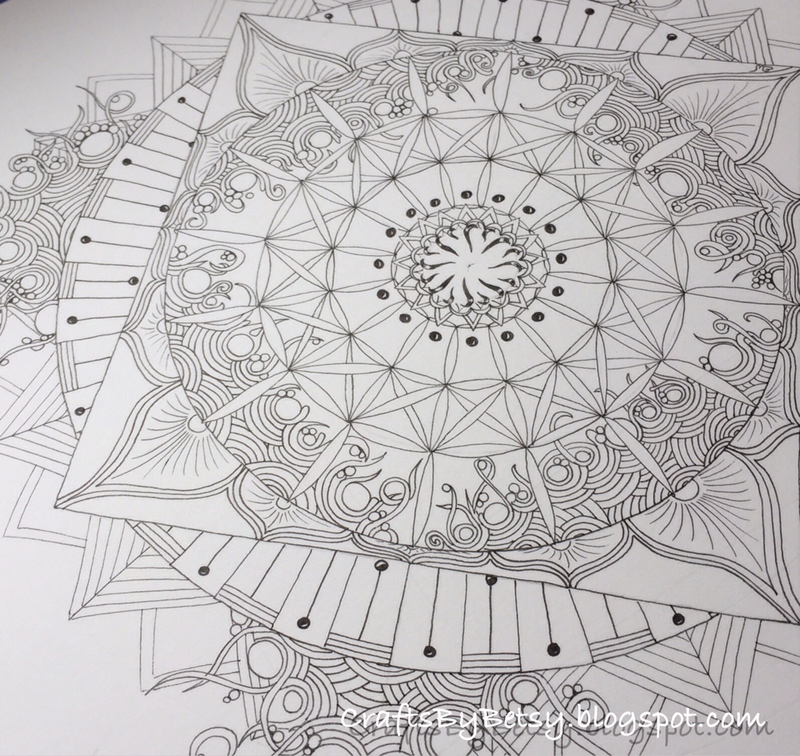 I hope to have the completed mandala for you soon. 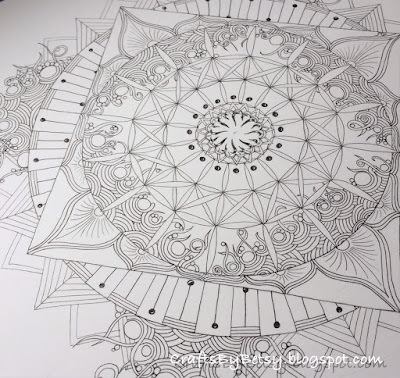 Not sure if it's a mandala or Zendala, probably somewhere in between! 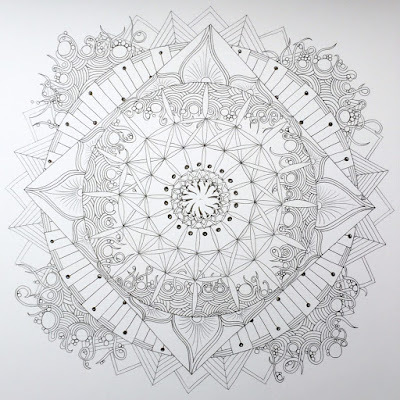 But definitely Zentangle Inspired Art or ZIA. Thanks for stopping by! Have a great week! a beautiful and verrrry ambitious project... so well done!! love your linework. This is really spectacular! I like it in black and white and colored. You definitely have patience.